Kingfisher East Bengal get ready to host arch-rivals Mohun Bagan in the return Hero I-League Kolkata derby at the Vivekananda Yuvabharati Krirangan (Salt Lake Stadium) on Sunday (21 January 2018). The Red and Golds suffered a slender 1-0 defeat the last time these two sides met this 2017-18 season. Post that, Kingfisher East Bengal have remained unbeaten, notching five wins and three draws, to be ranked second on the table with nineteen points in their kitty. “Last match we lost (against Mohun Bagan), we didn’t play good. This time we have to prepare well and not take them lightly. Like any other match, we have to play well and take positive points. They have good and experienced players”, said Khalid Jamil in the official pre-match press conference. The Hero I-League winning coach chose not to ponder upon the possible absence of Sony Norde (who has been out of action for almost a month now) but praised the new signing Akram Moghrabi from the opposing camp. “Football is about eleven players on the pitch. I saw Akram two-three years ago and he is a good player. We don’t have any special plans for him. However, we might start with two strikers ourselves”, he said, hinting their new forward Dudu Omagbemi or out of favour Willis Plaza could feature alongside Jobby Justin in the attack. Jamil’s counterpart Sankar Lal Chakraborty praised the former Aizawl FC man in high regard along with his current Kingfisher East Bengal team. “Kingfisher East Bengal are a team ahead in all facets. After losing to us, they are unbeaten. Their coach Khalid Jamil is way more experienced than me and had been the in the Indian football scene for more than a decade. He is a title-winning coach. They are playing good football, that is why they are ahead of us and that reflects on the table”, he conceded. The former assistant to Sanjoy Sen, who resigned midway the season, Sankar Lal took over as the full-time head coach and has had a win and a loss in the two matches under his belt so far. The champions from three seasons ago, however, remain in sixth place with thirteen points but have played a game less than Kingfisher East Bengal. “I enjoy the challenge. It is exciting to work under these circumstances. The challenge will be to return to winning ways. There is a chance that Sony (Norde) might play, but if he doesn’t we move forward with some other player in our plans”, he added. Shilton Paul looks likely to miss the match owing to a stomach bug. Yuta Kinowaki has not practised but Norde did some training separate from the team. Eduardo Ferreira and Katsumi Yusa face their former side with both in inspirational form for Kingfisher East Bengal of late. 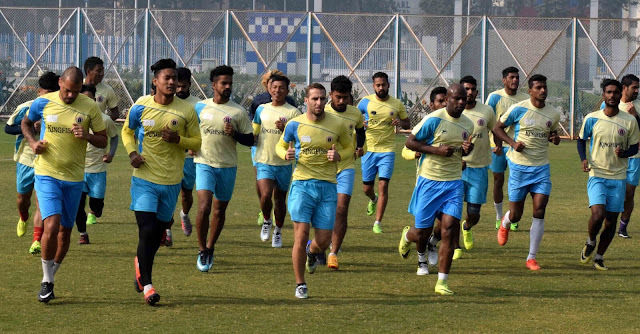 However, the focus will be on the derby debutants of Mohun Bagan – Cameron Watson and Akram Moghrabi – both tried and tested players in the Hero I-League in the past. It will be the 321st meeting between the sides in their history in all competitions. 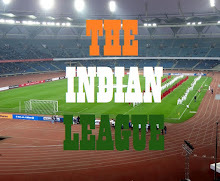 In 21 matches in the Hero I-League era, the Red and Golds have won five times while the Mariners have been victorious eight times, with eight draws played. However, in the past five meetings at the national level, it has been all Mohun Bagan with three wins and two draws to their name. A win for Kingfisher East Bengal will return both pride and the opportunity to stay afloat in the title race but the Mariners will be licking their lips to do the double this season over their near century-old rivals.